There's quite a buzz among movie pirates who have an eye for high-quality video. After the first Ultra HD Blu-Ray disc leaked last month, two more releases have now followed. While some have rumored that AACS 2 encryption may have been cracked, a bypass is just as likely. And with the leakers themselves staying quiet, the mystery remains. Up until a few weeks ago, full copies of UHD Blu-Ray Discs were impossible to find on pirate sites. Protected with strong AACS 2 encryption, it has long been one of the last bastions movie pirates had to breach. While the encryption may still be as strong as before, it’s clear that some pirates have found a way through. After the first pirated Ultra HD Blu-Ray Disc leaked early last month, two new ones have appeared in recent days. Following the historic “Smurfs 2” release, a full UHD copy of “Patriots Day” surfaced online little over a week ago, followed by a similar copy of “Inferno” this past weekend. The latter two were both released by the scene group TERMiNAL and leaked to various torrent sites. While the leaks all appear to be legitimate, it’s still a mystery how the Blu-Ray discs were ripped. While some have suggested that AACS 2 must have been cracked, there is no evidence supporting this yet. The TERMiNAL releases don’t mention anything that hints at a crack so the mystery remains intact. An alternative explanation would be that there is some kind of exploit allowing the pirates to bypass the encryption. Some have pointed to a private exploit of Intel’s SGX, which would make it possible to sniff out what PowerDVD has in memory. “If SGX has a loop, that will enable people to read PowerDVD’s memory. That will then allow them to copy the decrypted data from the UHD Blu-Ray drive 1:1,” a source informs TorrentFreak. Another option could be that there’s a private media player exploit, allowing the pirates to get full access to the data and read the encrypted disc. Our source has tried this extensively in the past and got close, but without success. Others may have had more luck. If there’s indeed such an exploit or vulnerability, the pirates in question might want to keep that private to prevent it from being fixed, presuming it can be patched, that is. Theoretically, AACS 2 could be cracked of course, but this seems to be less likely, according to our source. The latest UHD Blu-Rays also have bus encryption. This means that there are two separate keys to break, which would be very hard. Cracked or not, pirates are excited about the UHD Blu-Ray copies that have started to populate through private and public torrent sites. While the download numbers are nowhere near those of regular HD releases, the UHD leaks are widely seen as a breakthrough. And with three releases in short succession, there are likely more to follow. Those who dare to pirate them have to make sure that they have enough bandwidth, time, and free space on their hard drives though. 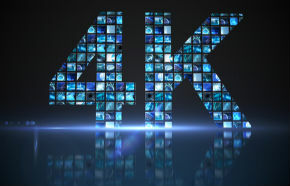 Ultra HD releases easily take up several dozens of gigabytes.